When's the last time you prescribed an antibiotic eye drop for a patient with an active hordeolum with significant cellulitis? You wouldn't, because you know it wouldn't work. Bacterial infections of the soft tissue around the eyelid are difficult to treat with eye drops alone because these drops can't adequately penetrate the skin. Prescribing oral medications and topical ointments are the best way to target infection and inflammation of the eyelid skin. 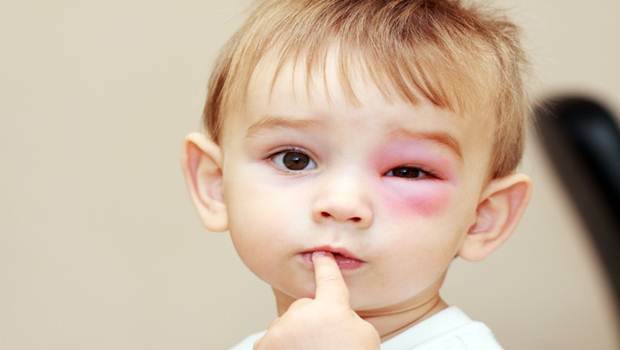 Children are no different that adults, and trying to treat a soft tissue infection like a hordeolum (stye), preseptal cellulitis (swollen eyelid), or lacrimal gland infections like dacryocystitis or dacryoadenitis without an oral antibiotic is an uphill battle, and likely a losing one. With the passage of oral prescription rights in Florida in 2013, nearly every optometrist practicing in the US has the privilege of being able to prescribe any necessary medication for treating ocular infections. Prescribing oral antibiotic tablets for adults is second nature to ODs, but constituting liquid antibiotics for kids is something that might have not gotten a lot of coverage in school. A great rule of thumb is to contact your patient's pediatrician in these cases - a personal call from you as the optometrist saying you'd like to comanage treatment for a bacterial infection can help build a great referral relationship and establish a collaborative community within your medical area. But if you are unable to get in touch with the pediatrician, or a situation arises where you need to take control of writing oral antibiotic prescriptions for your pediatric patient, here are some general guidelines to get you started. 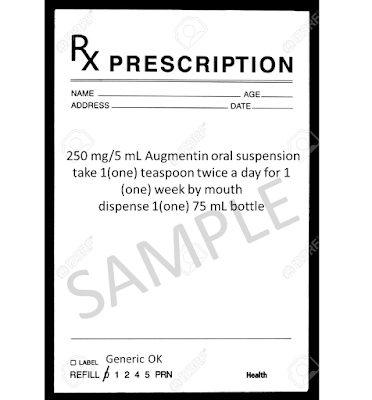 Augmentin (Amoxicillin/clavulanic acid): The antibiotic of choice for soft tissue infections, as long as your patient doesn't have a penicillin allergy. 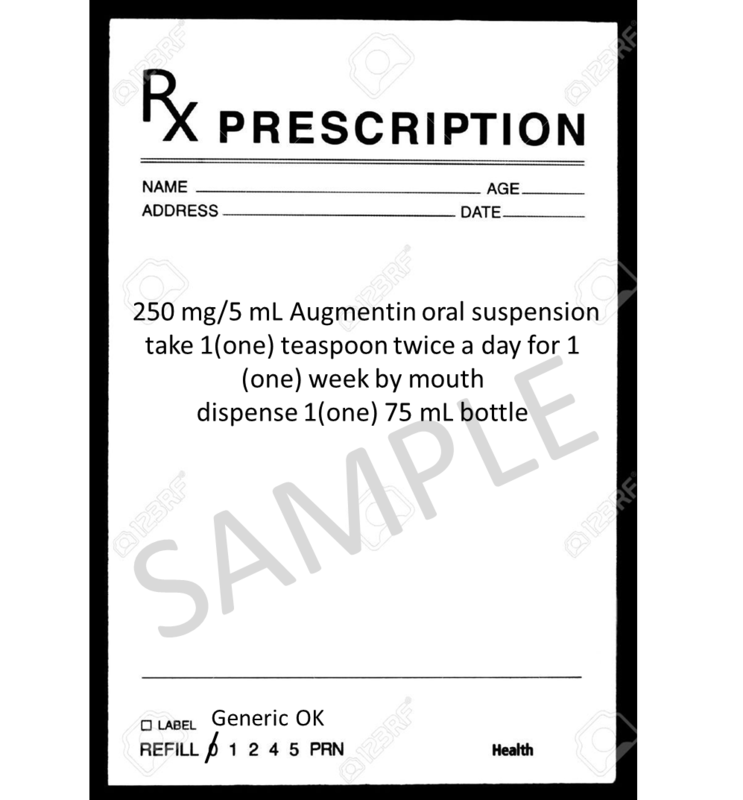 Studies show taking Augmentin 2 x a day lowered the risk for diarrhea so most doctors prescribe the 250mg/5mL suspension or 400 mg/5 mL suspensions twice a day for children that weigh enough to take it. If it was a nastier infection I might write as high as 1 teaspoon (5 mL) of 400 mg/5mL Augmentin supsension twice a day for 1 week (which would give me 800 mg a day which is still within a safe dosage range at his weight). If the child is over 40 kg (around 90 lbs) they can be dosed at adult prescription strengths. I commonly write oral Augmentin 500 mg BID for 1 week. Alternatively, if the child is allergic to penicillin, a great alternative is Azithromycin. This is not flavored! Expect it to be a not-so fun taste for your child, so some parents will mix it with sugar. 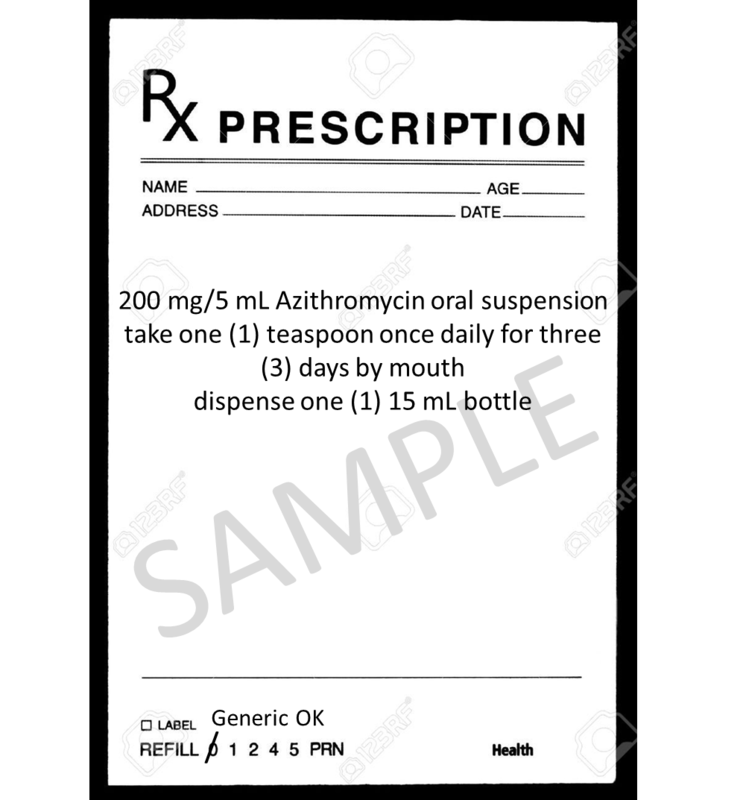 Liquid Azithromycin (name brand = Zithromax) comes in 200 mg/5 mL in 15 mL, 22.5 mL, and 30 mL bottle sizes. For children aged 1 year and older we need 30 mg/kg total, typically dosed as 10 mg/kg over 3 days. Common Antibiotic Side Effects: Taking any antibiotic on an empty stomach can increase the risk of diarrhea and nausea. Recommend parents dose their antibiotics around meals. Allergic reactions can include rash, itching, and swelling of the face, tongue or throat. 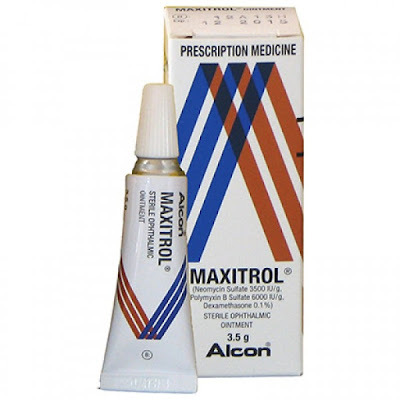 Have the parent stop the medication and contact you immediately if that occurs. For soft tissue infections, I also prescribe topical antibiotic/steroid combination ointments. These ointments are great in combination with oral antibiotics to treat the infection both internally and externally. Maxitrol ointment (neomycin/polymixin B/dexamethasone) applied 2-3 x a day for 7-10 days is approved for use in children 2 years and older. It's an inexpensive generic option that is well-tolerated by most (typically $5 or less). For low grade infections or small styes, sometimes the ointment alone is enough. If there is significant preseptal cellulitis around the hordeolum and I would recommend adding the oral antibiotic for best coverage. If the patient has a neomycin allergy, then Tobradex ointment has also been FDA approved for ages 2 and up. It has great efficacy but without insurance coverage one tube of Tobradex ointment runs around $200. Something to make patients aware of before they go to the pharmacy so there are no unpleasant surprises! You can also call the pharmacist! If you give them the kids weight they will help you convert it....they're absolutely awesome at this and they're used to doing this all the time! We just went over this in our Peds course at NSUCO yesterday and they pretty much taught us the same protocol. They recommended adding a flavor to the oral suspensions to increase compliance and make for a happier kid. I'm glad you posted this! Thanks!